I've been watching music videos in the morning instead of the news, basically because I'm tired of hearing the same thing over and over again. I don't care about AIG anymore. I usually switch back and forth between GAC and CMT, and I've noticed one thing. Since when did it become cool to not brush, comb or wash your hair in country music? 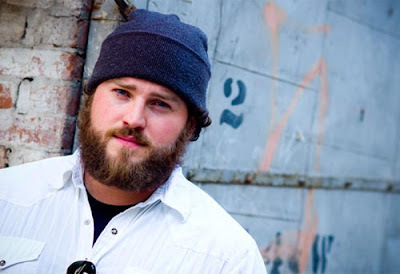 The top picture is the lead singer from the Zac Brown Band, so I'll assume he's Zac Brown who sang the Chicken Fried song. 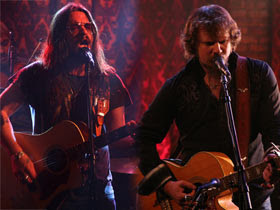 The bottom picture is Shooter Jennings (Waylon Jenning's son) and Jamey Johnson (he sang the Should've Seen It In Color song. Go take a shower, and get a haircut. Yuck.